Photo via Michigan House Democrats website. Michigan’s “Lost Decade” is a term that was coined to define the state’s economic turmoil that lasted from 1999 to 2009. An October 2009 Lansing State Journal article attributes the phrase to Patrick Anderson, the East Lansing economist who served as a deputy budget director for Gov. John Engler. Anderson is a member of the Board of Scholars of the Mackinac Center for Public Policy, which publishes Michigan Capitol Confidential. 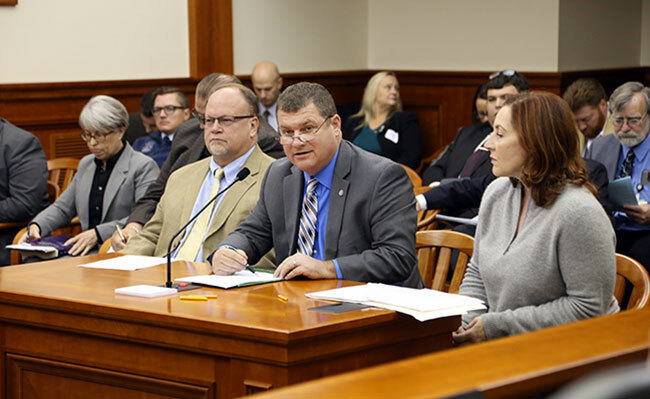 While the phrase is well known among Lansing insiders, memories of Michigan’s economic travails during that time appear to be hazy for some Democratic officials. State Rep. Terry Sabo of Muskegon recently claimed in a post on Twitter that Michigan is experiencing another lost decade. Sabo, who didn’t reply to an email seeking comment, isn’t the only Democrat with a short memory. Perhaps some specific reminders are in order. The per capita personal income of Michigan residents fell from 18th-highest in the U.S. in 2000 to 38th place in 2009. This decline was the fourth-largest for any state during any nine-year period going back to 1929. In the Bureau of Labor Statistics' official category of “transportation equipment manufacturing,” Michigan lost 219,000 jobs from 2000 to 2009, or roughly two-thirds of its jobs in that category. Across all categories, Michigan lost 805,000 jobs in those nine years. From April 2006 through May 2010, Michigan had the nation’s highest unemployment rate. The picture painted by similar statistics for the current era could hardly be more different from what this state suffered in the 2000s. Inflation-adjusted average wages and benefits in Michigan increased 4.1 percent from 2010 to 2017. Average real compensation went from $58,674 in 2010 to $61,062 in 2017. Inflation-adjusted median household income increased 5.0 percent from 2010 to 2016, rising from $49,985 to $52,492. The unemployment rate dropped from a peak of 14.6 percent in June 2009 to 4.7 percent in April 2017. The number of employed people in Michigan increased from 4.2 million to 4.7 million during that span of nearly eight years. More people are working and over seven years the average pay in Michigan has increased faster than inflation. Editor's note: The headline was changed from what was originally posted.